James Meadway is the senior economist at the New Economics Foundation, where his work focuses largely on developing responses to the recession and austerity. He formerly worked as a policy advisor at HM Treasury, covering regional economic development, science and innovation policy. 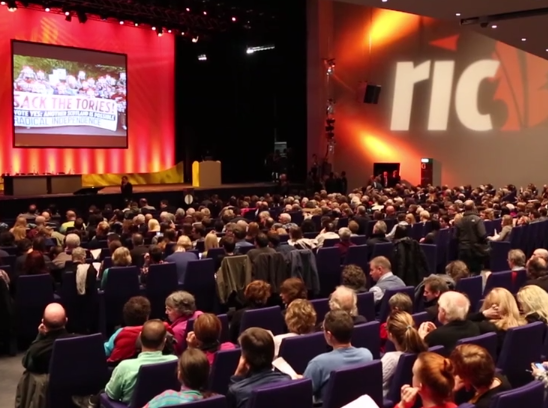 Meadway was at the Radical Independence Conference, which was held in Glasgow, in November 2014, and saw an attendance of 3000 people. The conference included talks from a number of speakers such as politicians, writers, journalists and many others involved in the independence movement. The Radical Independence Campaign is dedicated to working towards creating an alternative vision of independence for Scotland. The campaign has played a key part in supporting the independence referendum, boosting grassroots support from around the country and providing a platform for those wishing to discuss Scotland’s future. This clip was first published on Bella Caledonia.